Ember Travel vs Cauldryn Fyre Mobile 2.0: Which should you buy? We're a virtual company made up of tech experts from across the globe. We write morning, noon, and night and are expert coffee drinkers, consuming more than most humans should. You can rely on us to help you pick the perfect smart travel mug. The Cauldryn Fyre Mobile is the electric travel mug to beat. Not only will it keep your beverages hot, but you can also make hot beverages in the Fyre Mobile. With Cauldryn's range of accessories, you can swap out the battery and heating element for a blender element. This additional capability and battery do have a trade-off, and the Fyre Mobile fairly heavy for its product class at 2.3lbs. with the battery attached. Can boil water, heat soup, brew coffee and tea, and even cook freeze-dried food. Modular, compatible with Cauldryn accessories like the blender in case you want to make smoothies on the go. Expandable battery life with the Cauldryn battery add-on. Controllable through an app for iPhone and iPad. 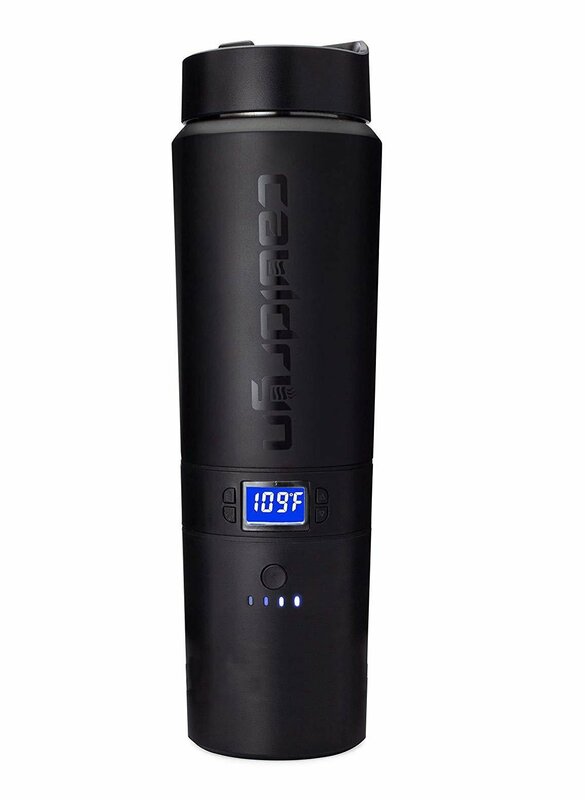 The Ember Travel is a sleek, heated travel mug that'll keep your coffee or tea hot while staying cool on the outside. Controllable through an iPhone and Apple Watch app, you can set presets for various beverages, and set the correct temperature with a tap. Unfortunately, the experience is marred by a short battery life and a limited range of heating options. Keeps your coffee or tea hot. Controllable through an app on iPhone and Apple Watch with customizable presets. Stays cool on the outside. Only heats up to 145 degrees. The Cauldryn Fyre Mobile 2.0 is the smart travel mug you should get. It's more versatile, with swappable bases (there's even an optional blender attachment and a travel charger!) and has a much greater battery life compared to the Ember. You just get a lot more for the same price when you get the Cauldryn. If the most you'll do with your travel mug is take it to the office to keep your morning coffee or tea hot on your commute or as you start work, check out the Ember Travel Mug. It offers a simplicity that's highly appealing. Both the Ember Travel Mug and the Cauldryn Fyre Mobile 2.0 will keep your beverages hot longer than a standard mug or vacuum flask. The Ember wins in aesthetics and simplicity, and if all you need is a mug that'll keep your coffee or tea hot on your way to work and for a little while after that, it's a fine pick. If you want something more long-lasting and versatile and don't mind some extra weight, the Fyre Mobile is definitely worth a look. For the same price as the Ember, you get greatly expanded battery life, the ability to brew coffee or tea or heat soup, and a modular design that lets you, with the right accessory, create smoothies in your portable mug. If you want something that will cater to almost any need you have for an electric travel mug, get the Cauldryn Fyre Mobile 2.0. The Ember Travel Mug is going to be fine for a lot of people, but between battery life, the ability to actually brew or even cook using the mug, and its modular (and thus adaptable) nature, the Fyre Mobile wins hands down. It holds more liquid, is more versatile, and importantly, you can actually pick up a travel charger for it, unlike the Ember. At the end of the day, the Fyre Mobile gives you more for the same amount that you'd pay for the Ember Travel Mug. A modular travel companion to meet any need. With a modular design, big battery, and ability to brew, boil, or cook, the Cauldryn Fyre Mobile 2.0 is a great tool to have by your side during your travels whether you're heading out on the open road for a while or into the woods for a weekend. It's the smart travel mug you should get. Will keep your beverages hot during your commute. 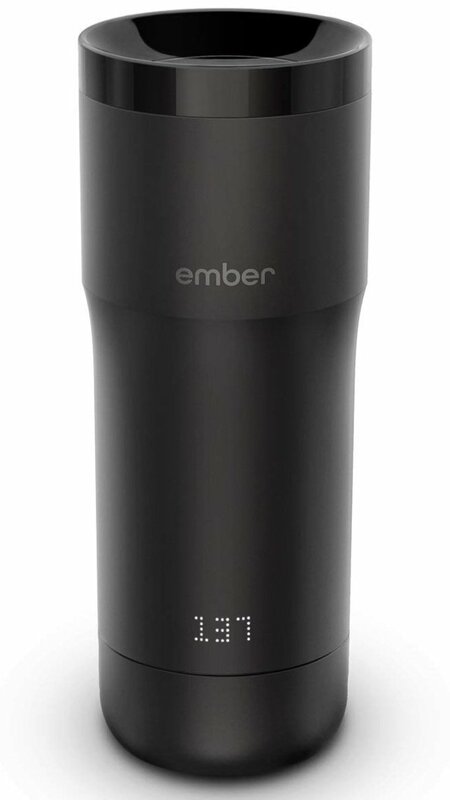 If you just need to keep your coffee or tea hot on your commute, or you work at home with easy access to the charger, the Ember Travel Mug is a great option, but it's less capable than the Fyre Mobile.